USB Ports the New Norm? It seems like it was only a few years ago that you would be lucky to find more than a couple USB ports in a brand new laptop, but these days it would be hard to find a computer that isn’t covered with them. For the Apple lover with the iPad, iPhone, and the iPod and family with the same penchant for overdoing it, you could turn your computer into something nearing a telephone switchboard with all the plug ins. This wave has recently swept into something more portable – cars. 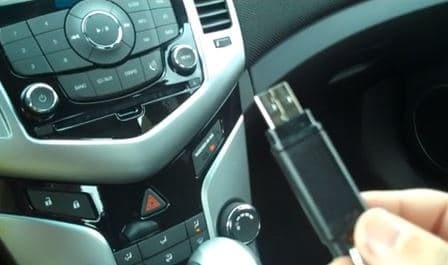 The antiquated cigarette lighter adapters and auxiliary cords have been tossed aside and recent models come with USB ports packed in. After cars came SUVs came pickup trucks and USB connection is now commonplace in everything down to the unicycle. And more is better. The 2014 Chevrolet Silverado LTZ 1500 and GMC Sierra SLT 1500 each have five USB ports, you know, just in case you need to charge everyone’s cell phone at the same time. It is true though that this brings a certain level of convenience. It is not uncommon to have the need to charge perhaps two or three cell phones at a time. Add a tablet and a camera or your kid’s videogame handheld and right there you have something that simply couldn’t be done before. Moreover, in the Chevrolet Silverado, not only can all five USB ports charge your devices, they can also read the data from them. Frequently, additional USB inputs serve simply as charging stations rather than fully fledged connections. This sort of feature allows, for instance, the ability to play music from multiple devices which most likely have different artists and songs stocked on them. Every road trip nowadays features the awkward MP3 player switching each time someone wants to play a song from their own device. While technology is not always revolutionary, sometimes evolution is all that’s desired, the small convenience that makes the ordinary a little bit easier, a tiny drop smoother. The future is now; we’re living in it. As everything has become handheld and portable and we’ve become able to take our lives with us wherever we go, it’s only fair that we can have it hauled in a pickup.